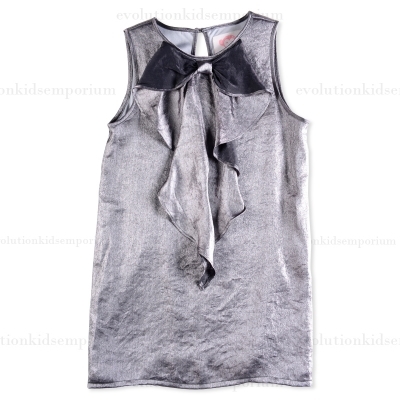 Metallic Silver Cascading Bow Dress by Appaman - This chic, flowy shift dress is a great choice for any formal occasion. Silky material, a keyhole back, and floaty bow detail lend a flapper feel to this uber stylish dress. The fabric hangs expertly, as the title suggests, and the smoothness feels comforting to her skin.